Keep up with our podcasts! Enter your e-mail, and we'll let you know what's going on at WCE a couple of times a month! 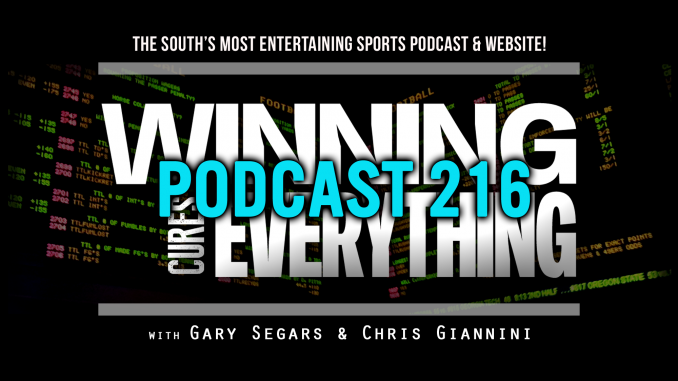 Gary and Chris jump into several topics this week, as NBA free agency has begun, and we’re still counting down until College Football season starts! – Paul Finebaum vs ESPN: Who wins contract negotiations? Can ESPN let him walk away? – NCAA School Revenue has been released for the 2017 fiscal year. 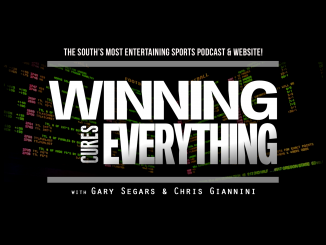 The guys list the Top 10 schools, along with the top G5 school, Memphis’s ranking, and they talk about whether or not the smaller Power 5 schools should try to keep up with the blue bloods financially, or just accept losing. – Ex-Baylor AD claims regents used black athletes and football program as scapegoat for university-wide sexual assault issues. Gary and Chris dig into it. – Lebron James signed a 4-year, $154M deal with the Lakers… who’s coming with him? There are several more questions to go with this one. – Song of the Week! 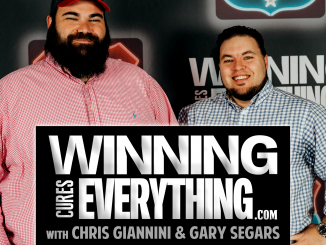 – Gary and Chris’s Hot Takes of the Week, discussing Paul George, and Arkansas baseball. – Fact or Fiction: From a fan’s perspective, what’s more important – a player’s choices or talent? There are a lot of online sportsbooks out there. MyBookie.ag is the only one that gets our stamp of approval. And you know we don’t give that out lightly. To get our endorsement, we’ve got to personally use them, and that means they have to be the best. And MyBookie.ag is by far the best sportsbook we’ve used. So go to MyBookie.ag and enter in promo code WCE50 for a 50% deposit bonus. That basically means they’re gonna give you free money ($100 deposit gets you $50 in free bets), so knock that thing out. Go to MyBookie.ag, click ‘sign up’ and enter promo code WCE50. If you’re enjoying the show, please take a second to subscribe to the podcast and leave a review on iTunes! Those two things can really help us build up the audience. Thanks for your support! Paul Finebaum vs ESPN: Is Atlanta the sticking point to a new contract? 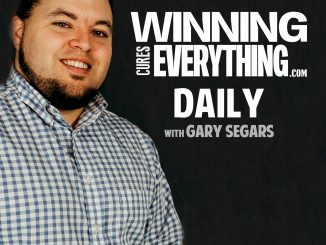 WCE Daily: 2/6/19 – CFB National Signing Day and NCAAB picks! WCE Daily: 4/22/19 - Wonderlic scores, No Peyton Manning for MNF, Sunday Ticket, Picks! WCE Daily: 4/19/19 - Will Wade unlikely to testify, Raiders excuse scouts, GoT piracy, daily picks!